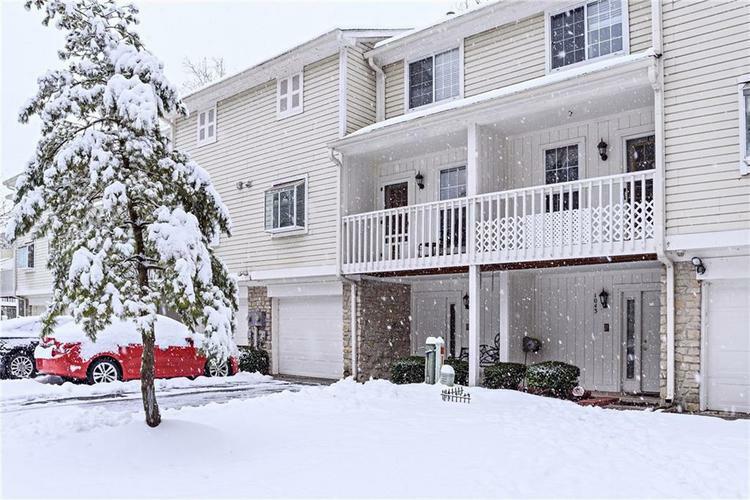 Location...location...location... Beautiful 3 bedroom, 3 bathroom condo just minutes away from the heart of Broad Ripple and right next to the Monon Trail!! This recently updated condo is ready for it's next owners. Updated kitchen, bathrooms, flooring and fresh paint throughout. Kitchen includes updated cabinetry, stainless steel appliances and ceramic tile. Relax in the spacious family room with cathedral ceilings, fireplace, built-in bookcases and private balcony overlooking the woods. The large master bedroom has an updated spa-like bathroom with double sinks, granite, garden tub, separate shower, skylight and double closets. Don't miss out on the opportunity to have it all...this one won't last long! Directions:WESTFIELD BLVD NORTH OF BROADRIPPLE TO NORTH ENTRANCE OF WINSTON ISLAND WOODS TO 3RD BLDG ON LEFT.